Springtime is all about new beginnings, so it’s fitting that there are tons of new restaurants and bars opening up in Singapore this April. There are a few that have been on our radar now for a while and we can’t wait to give them a go. From an automated food delivery spot to a secret speakeasy style bar, an artisan bakery and world-famous international chains in the newly opened Jewel Changi Airport, these are the top drinking and dining venues that we think are going to be huge. Chef Rishi Naleendra and his wife Manuela Toniolo have taken Cheek by Jowl and revamped it into a modern Australian bistro. The result is a cosy space with minimalist design and decor, booth seating, and an open kitchen where the culinary team puts out an a la carte menu of hearty eats like the oysters with smoked tomato, waffles with chicken liver pate and Iberico pork chops. Keep an eye out for their new fine dining spot to open on Amoy Street soon. Previously housed in Plaza Singapura, The Dragon Chamber has moved to new digs and has a whole new look. You can now find this speakeasy style bar and restaurant hidden behind a fridge at a kopitiam on Circular Road. Step inside and you find huge Chinese style paintings on the walls, a long bar where you can sip on Asian-inspired cocktails and a roomy dining area where you can snack on contemporary Chinese creations. 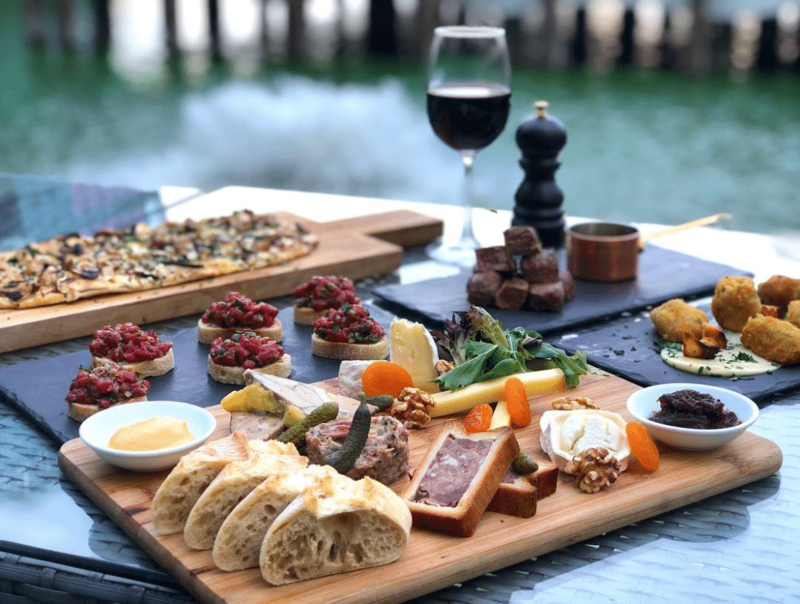 L’Entrecôte has just opened a new location at Customs House, so now you can enjoy their famous steak and fries while gazing out at Marina Bay. Start with some escargots or charcuterie and cheese, then dig into the signature steak smothered in secret sauce and served with crispy golden fries and a salad with walnuts and mustard dressing. Be sure to save room for the salted caramel lava cake. Have a hankering for freshly baked bread? Micro Bakery & Kitchen is just the spot. 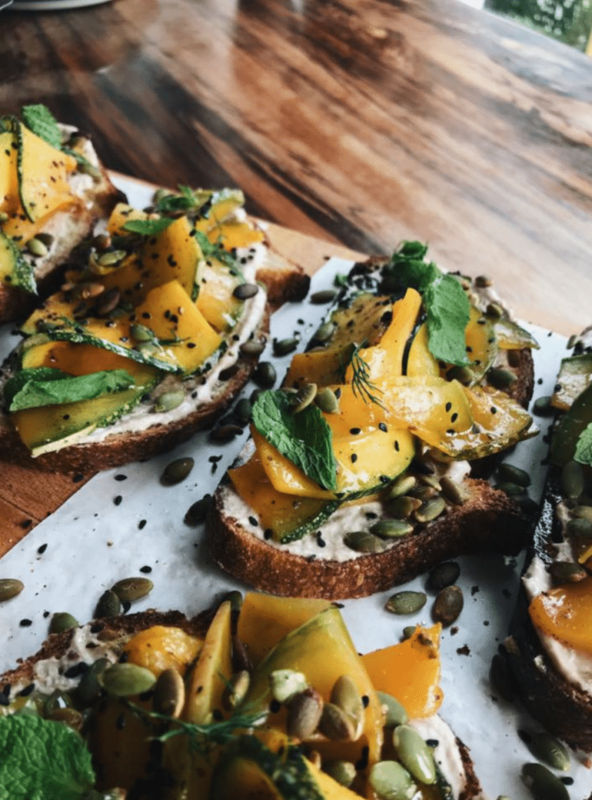 Taking over the space where The Bakery By Woodlands Sourdough was, this artisan bakery makes small batches of handmade bread that you can pick up to take home or enjoy as toast or in a sandwich at the cafe. They also serve espresso-based bevvies and filter coffee to go with the light bites. We’re officially open! Come on down to deliveroo food market filled with 11 food concepts from your favourite @namnamnoodlebar, @omakase.burger, @blukouzina, @bonchonchicken and many more See you at 29 Media Circle! You probably know Deliveroo as one of Singapore’s biggest food delivery services. Well, now they’ve gone ahead and opened a huge dining venue at [email protected] The innovative space features a fully automated ordering system where you select your meal from one of nine restaurants including Blue Kouzina, Omakase Burger and Delismith. Pick up your meal from a digital cubbie and take it to go or have a seat in the dining area to enjoy it right there. Bacchanalia has undergone a transformation now that chef Vianney Massot has taken the helm and that includes a name change. Coming to us by way of L’Atelier de Joel Robuchon, chef Vianney has a strong foundation in French cuisine, but adds his own touches that include nods to Singaporean and Asian cuisines. 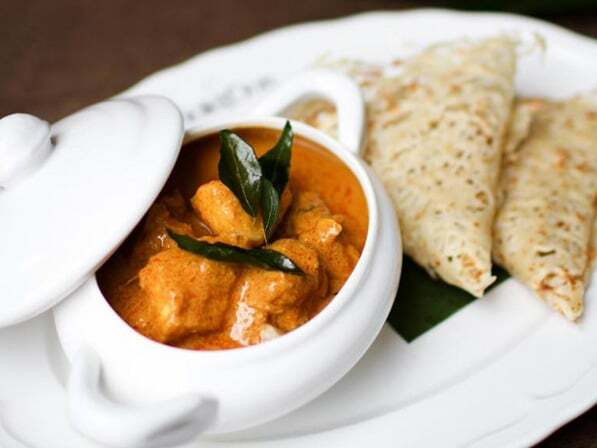 Expect delicacies like the slow-cooked Bresse chicken from France in a cognac-laced ivory sauce and the tagliatelle with hairy crab and white truffles. The atmosphere is buzzy at Yuijin Izakaya, a vibrant little spot where you can grab after-work drinks and Japanese light bites. The decor is industrial chic with lots of black and copper accents, manga scenes hanging on the walls, and a long bar where you can chat up the bartenders. Grab a sake or shochu and fuel up on grilled meats and seafood, udon noodles with prawn tempura and the katsu Sando sandwich with beef katsu and mustard. Brought to us by the folks behind Birds of a Feather, this all-day dining spot serves up coffee, cocktails, and various dishes for all meals of the day. Pop by in the morning for a turmeric elixir and some overnight oats. At lunchtime you can grab healthy grain bowls, and in the evening it’s all about charcoal-grilled skewers and main plates with nuances of Szechuan flavours like the braised duck and lobster rice stew. After much anticipation, Jewel Changi Airport is finally opening this month and we couldn’t be more excited. Not only does this gorgeous space have loads of greenery and the world’s tallest indoor waterfall, but it also has a slew of amazing food chains from Singapore and across the world. These are just a few spots we’re looking forward to hitting up the next time we travel. This London-based chain does just two things (obvs burgers and lobsters) but does them really well. 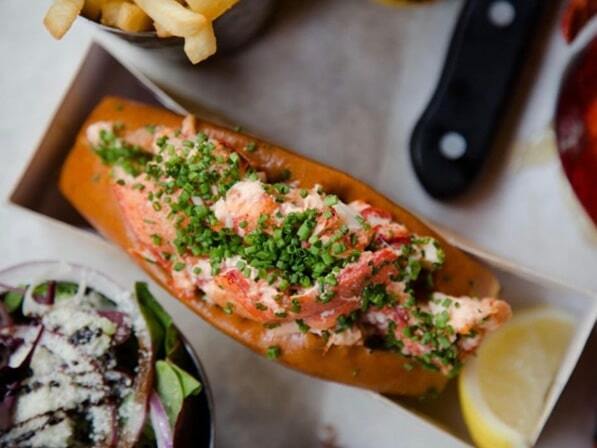 They source lobster from Nova Scotia and beef from Nebraska to make their delish grilled or steamed lobster, addictive lobster rolls and hearty burgers with all the fixings. Sides include truffle fries, sauteed mushrooms, and fresh salads. Coming to us by way of Boston, Emack & Bolio’s offers up premium ice cream and frozen yogurt in an array of fun flavours. 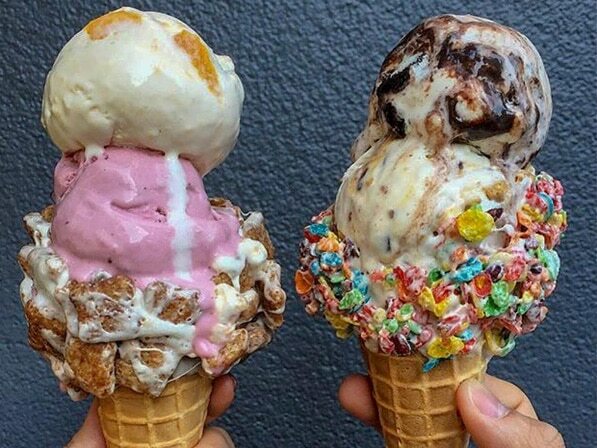 Start with a housemade cone rimmed with Fruit Loops or Oreos, then fill it up with scoops of vanilla bean, Myer’s rum raisin, or cake batter ice cream. Be sure to snap a pic before you lick because these babies are oh-so Instagrammable. 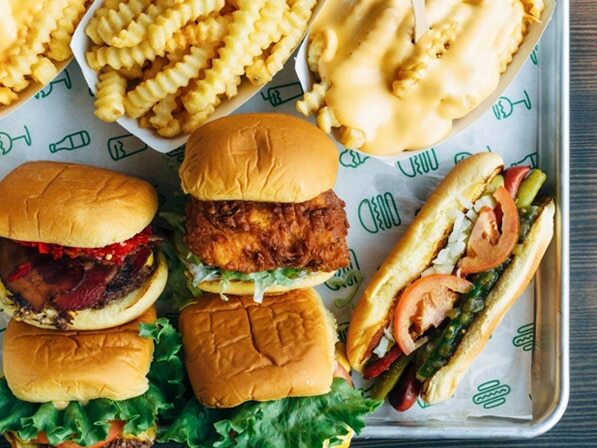 Finally, Singapore is getting a world-famous Shake Shack. The brand got its start out of a hot dog cart in Madison Square Garden and now has hundreds of locations all around the globe. Try one of the burgers made with 100 percent all-natural Angus beef, a crispy chicken burger, or a flat-top hot dog smothered in Shack sauce. Shang Social is the first ever standalone eatery by the Shangri-La group and it serves up contemporary Chinese fare. The focus is on Cantonese, Sichuan and Huaiyang cuisines, so you can expect dishes like bamboo noodles with dark soya sauce and deep-fried chicken stuffed with glutinous rice. There is also a bar where you sip on craft beers and cocktails. If you like Tono Cevicheria by Daniel Chavez, then you’ll also love sister restaurant Tonito. It’s all about Latin American eats here like Mexican tacos and quesadillas, Cubano sandwiches and Argentinian style steak asado with chimichurri. Even better, you can enjoy your eats while gazing out at the gorgeous waterfall. Violet Oon is the undisputed queen of Nonya cuisine, so we’re happy she’s representing Singapore among the slew of international eateries at Jewel Changi Airport. This is the spot to go if you want to get one last taste of home in before you fly. Try the Ayam panggang straight off the charcoal grill or make your own popiahs with fresh prawns, veggies and shredded omelet. We love a bar with a unique theme, so Risky Business is right up our alley. Owner Jamie Gripton (who also owns Singapore’s first rosé wine bar, Pandora’s Garden) is a huge Tom Cruise fan, so he designed the bar after the one in Cocktail and created fun bevvies that take inspiration from Tom Cruise movies. Try the Vanilla Sky with bourbon, pineapple shrub, lime juice, and grenadine or the Interview with a Vampire with spicy infused vodka, tomato juice, and calamansi.